Step 1 Wash meat thoroughly in cold water and pound lightly with blunt edge of knife or clean hammer to tenderize until slightly flattened; or soak meat in basin of cold water for about an hour. Drain and blot dry with paper towels. Step 2 Combine onion, garlic, soy sauce, sugar, malt syrup, oil and pepper in medium bowl. 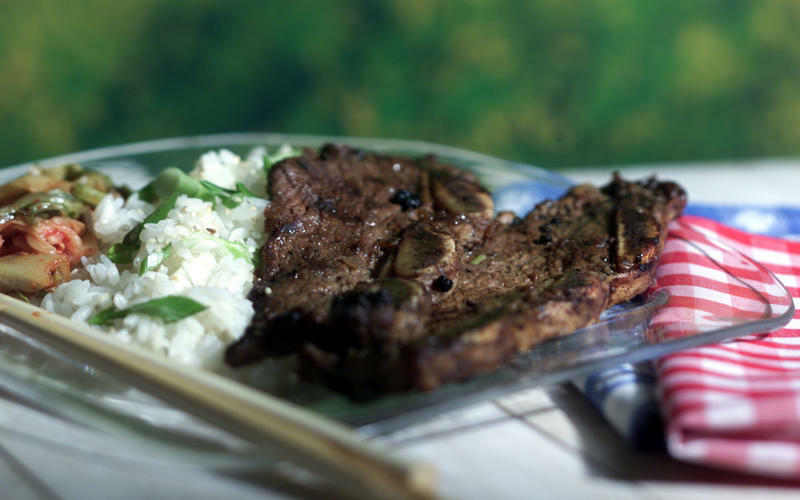 Marinate the meat by layering, pouring the soy mixture between layers in 13x9-inch dish. Or mix meat with soy mixture in large bowl. Cover and refrigerate 3 hours or preferably overnight. Step 3Grill ribs over medium-high heat until well done, about 4 to 6 minutes a side. In Recipes-list.com we have selected the most viewed recipes from category - Grilled Main courses . Enjoy the best recipes specially selected for you! Beef short ribs (Kalbi) is the right choice that will satisfy all your claims.